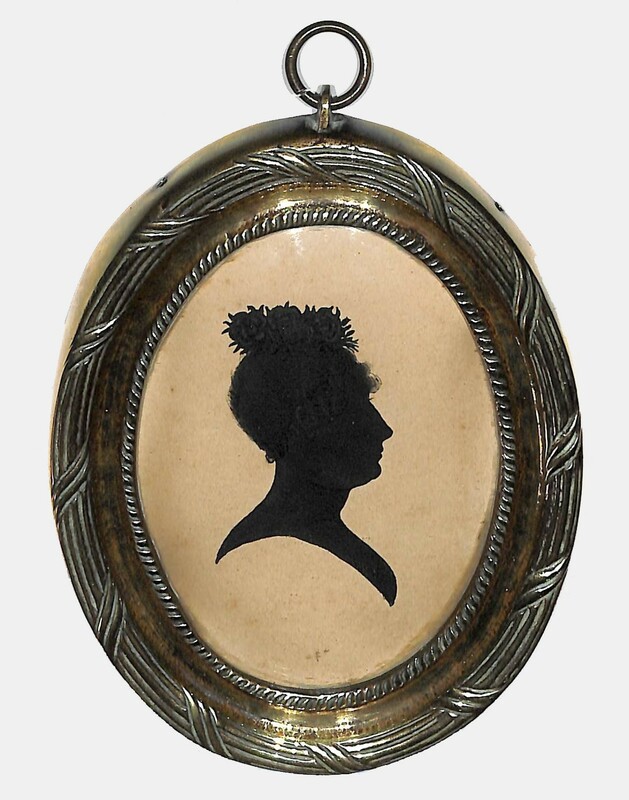 Thanks to Mrs McKechnie’s painstaking research as published in British Silhouette Artists and their Work 1760-1860, it is not often that talented but unrecorded silhouette artists are yet to be uncovered. Presented here is a head and shoulders silhouette painted on card by Mr Hand of London. It portrays Princess Charlotte of Wales, her hair upswept and decorated with a circlet of flowers. The profile is based on a portrait miniature of the Princess painted by Alfred Edward Chalon that was subsequently published by Ackermann as a popular stipple engraving. The silhouette is painted in watercolour with gum arabic used to detail the hair and flowers. It is signed on the backing paper ‘By Mr Hand / 312 Oxford St / London’ and is housed in the original heavy brass frame with a twisted rope design and a crenelated inner border. 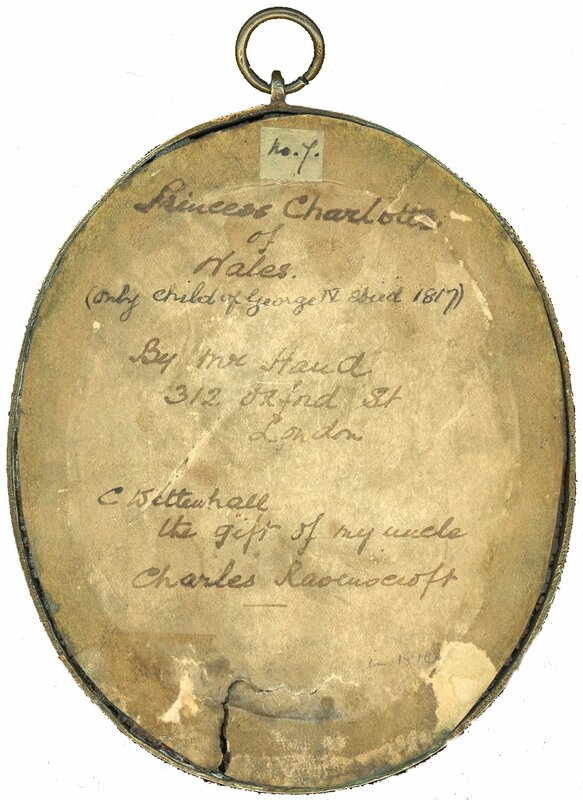 Princess Charlotte Augusta of Wales (1796-1817) was the only child of George IV and Caroline of Brunswick. 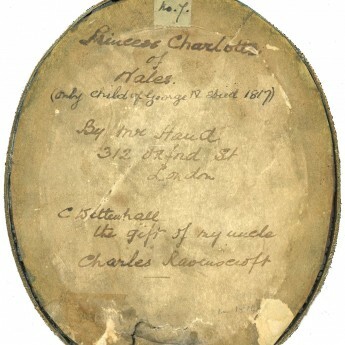 Her parents separated very soon after her birth and, as a result, Charlotte was brought up by governesses and saw little of her parents especially her mother. She married Prince Léopold of Saxe-Coburg and tragically died in childbirth at the age of 21 causing a period of unprecedented mourning. Had she outlived her grandfather and father, Princess Charlotte would have become Queen of England.